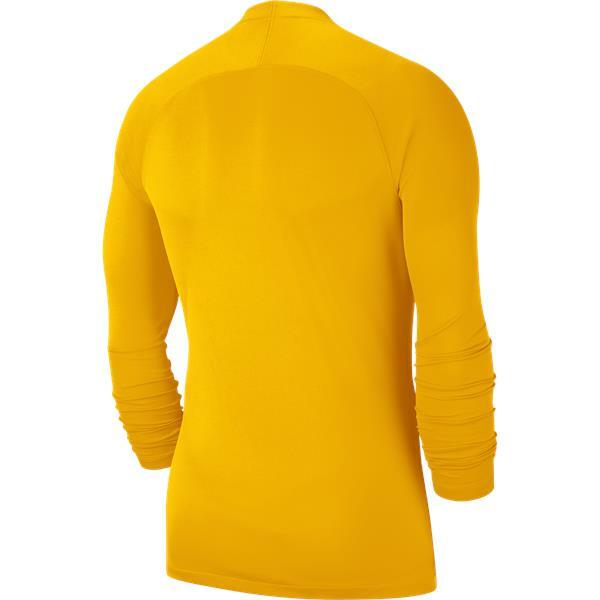 Dri FIT technology helps you stay dry, comfortable and focused. 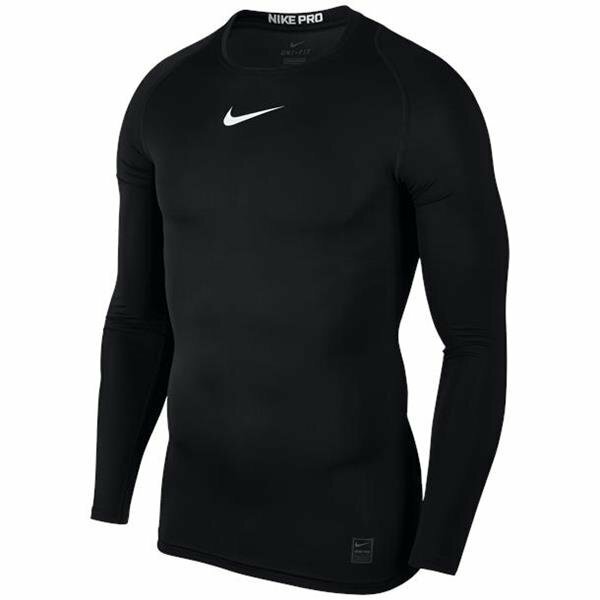 Stretchy fabric with a smooth face provides a low friction underlayer. Invisible Thumb Loops stay hidden when not in use. 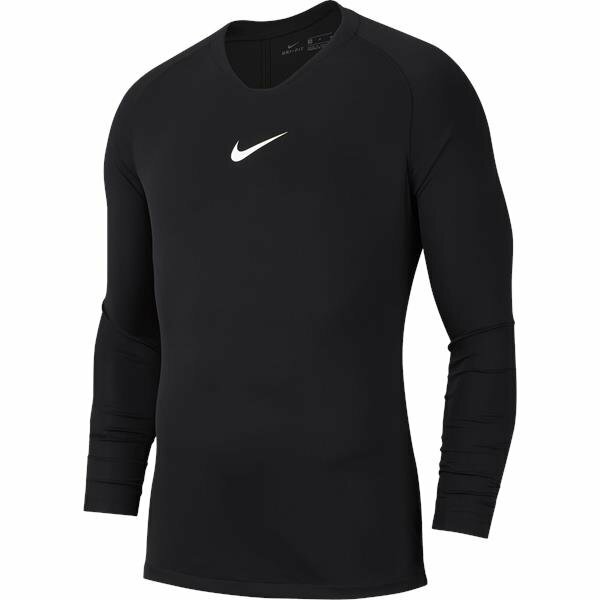 Raglan sleeves eliminate the shoulder seam to help you move freely. 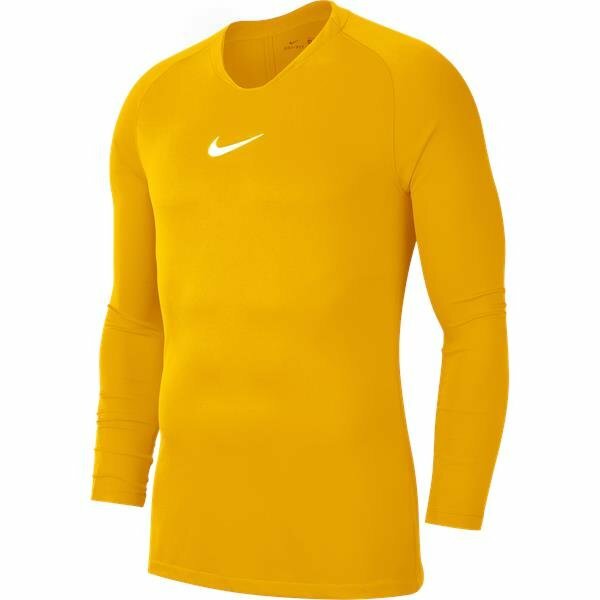 Swoosh design trademark is heat transferGold on the center of the chest. Fabric: 100% polyester.